As Vice President of EOS in the H-C-S-Group of Companies, Tom is responsible for directing and controlling the resources and work of the company to ensure effective use of our assets to meet corporate goals and objectives. He is also the Technical Transformer Oil specialist sitting on BSI and IEC Standards Committees. Tom joined EOS on 1st October 2006 after 9 years with Nynas, the naphthenic oils manufacturer, in South Africa and the UK. Tom has 30 years experience in the oil and chemical industries having worked for Mobil, Sasol, Sentrachem and Nynas before joining EOS. His qualifications include a degree in Chemistry and a Master’s degree in Business Administration (MBA). As a Technical Sales Representative for Mobil Oil in South Africa, Tom was exposed to various grades of both paraffinic and naphthenic oils and greases in industrial applications including the supply of electrical oils to ABB’s local plant. With Nynas and EOS his experience has been focussed on commercial and technical support for the supply of naphthenic insulating, base and process oils. Over the years the standards and quality of the insulating oils have changed requiring a clear understanding of the miscibility and characteristics of the different oils to solve critical operational problems for customers. “As the leading supplier, specialising in the offering of electrical oils and associated services to the electricity supply industry in the UK and now Continental Europe, we are well positioned to share our extensive technical- and service know-how to meet customer’s requirements in Europe. There is also an innovative approach to improving product and service expectations with our team of highly skilled and experienced personnel keen to assist customers. Andy has built up a team of electrical engineers with experience in transformer project management and maintenance who are on hand to guide and assist all customers in every aspect of insulating oil management. 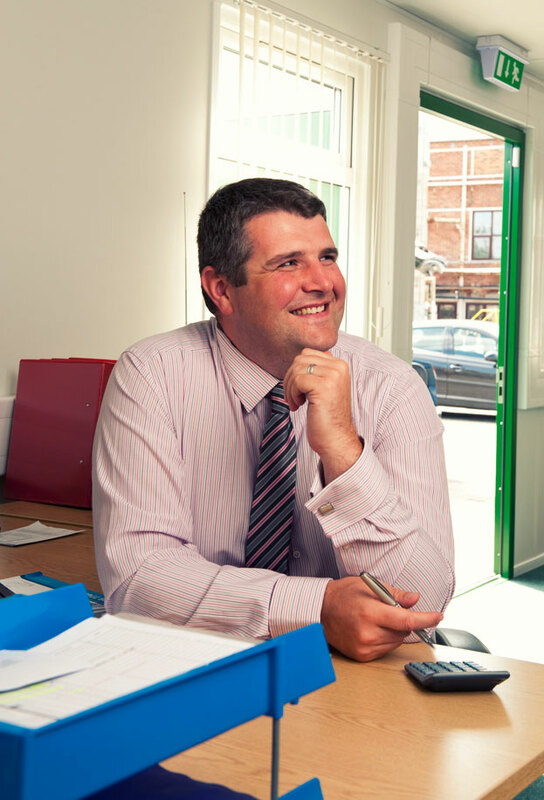 Andy has been with EOS since its formation in 1999, having previously worked with one of EOS’ predecessors Carless Refining and Marketing Ltd. He started his career as a Student Apprentice with the Central Electricity Generating Board (CEGB) combining on the job training with block release at Watford technical college where he gained a Higher National Diploma in electrical power engineering as well as enjoying first hand experience in power system maintenance and protection, power station operations and nuclear emergency training. After completion of his studies Andy was employed as a third engineer within the Rayleigh transmission division eventually becoming a Senior Authorised Person responsible for maintenance on high voltage systems up to 400kV. It was whilst working for the transmission division of the CEGB (later became National Grid) that Andy first came across the electrical oil services industry using tankers and mobile processing unite to facilitate transformer maintenance. Now with over 25 years working within the electrical oil industry, Andy is an ambassador for both the company and customers alike. Customers value Andy’s vast technical knowledge and expertise in the area, specifically his ability to communicate the often complex insulating oil processes in a simple and manageable way. 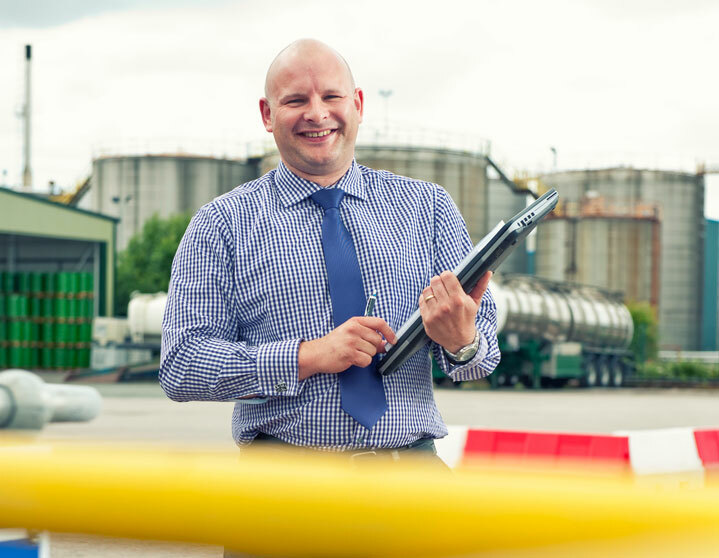 Martin is one of our dedicated Area Managers, whose combined technical and operational knowledge is a part of what makes EOS the trusted innovative supplier of choice when it comes to electrical insulating oil. Martin started his career in 1995, working as an Industrial Placement Student GEC Alsthom in the high-voltage switchgear department whilst studying Electrical Engineering. The next 10 years saw Martin work in a number of different roles within the industry; from compiling orders for high voltage switchgear and working as a Contracts Engineer, to moving into transformer distribution and managing the transportation of transformers all over the world. Before joining the team at EOS, Martin was a project leader involved in the service and maintenance of transformer installations and their transportation. With this wealth of practical knowledge and experience, Martin joined the team at EOS in 2014, where he took up the position of Area Manager. “EOS has a friendly and approachable way of working and places a lot of emphasis on building relationships with its customers. We work in a transparent way with our clients, suggesting the best practice working methods based on first hand experience in the industry. 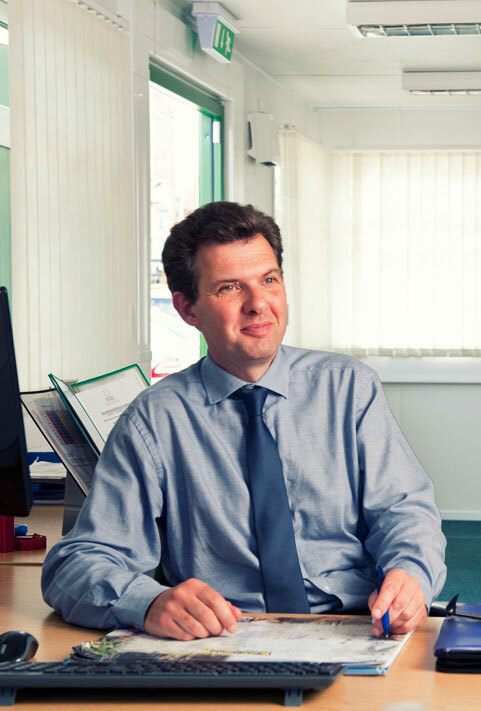 Tony is responsible for overseeing the treatment of hazardous waste, engineering and maintenance functions, managing quality, health, safety & environmental arrangements and liaising with the competent authorities. Tony joined the team in 2001, having previously worked for three large oil and chemical manufacturers in quality and production roles. 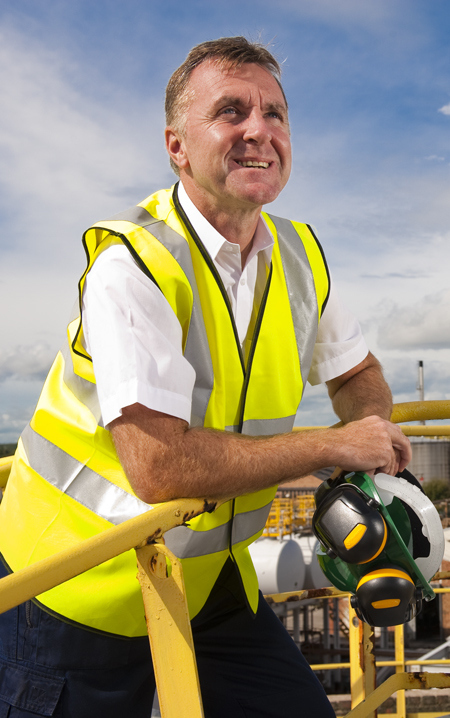 As Plant & SHEQ Manager, Tony is responsible for the treatment of hazardous waste to create a product meeting industry specifications, overseeing the related process, engineering and maintenance functions, managing quality, health, safety & environmental arrangements and liaising with the competent authorities. “The future looks really good for EOS. We’re the only purpose built plant to accept & treat large volumes of hazardous waste mineral insulating oil and produce a consistent, quality product fit for its original intended use. 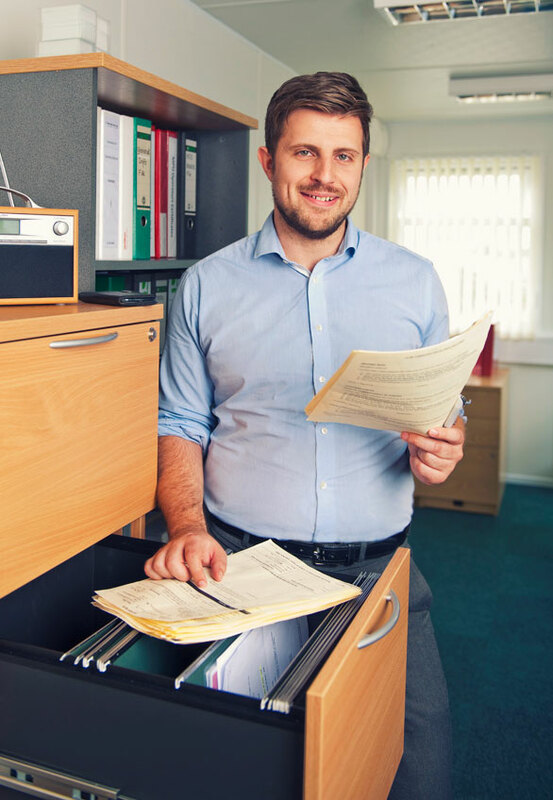 Mike has a wide range of roles including responsibility for accounting & finance, customer services & administration departments, freight/transport, sales of base and process oils, raw material purchasing and stock control. 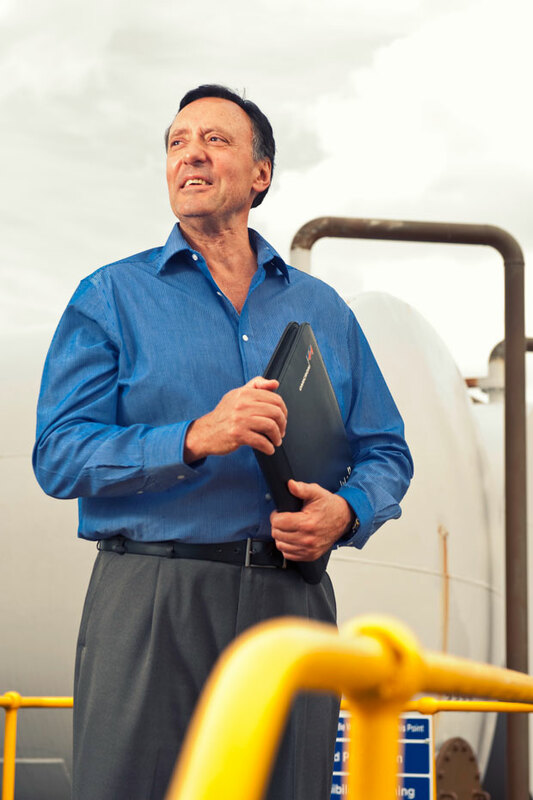 Mike has been with the team since April 2000, having spent his entire career in the oil and chemical industry with companies such as Dexter Speciality Chemicals and Arizona Chemicals. He graduated university in 1988 with a degree in Accounting and Finance, before later qualifying as a Chartered Management Accountant in 1990. When EOS was formed in 1999, it was a joint venture between Castrol UK and Carless. Mike was the first employee of the joint venture company as a result of both shareholders wanting to recruit a financial controller who was impartial and had not previously worked for either of the partners. Mike now has a wide ranging role, which includes responsibility for accounting and finance, customer services and administration department, freight/transport, sales of base and process oils, raw material purchasing and stock control. “EOS transformer oil is truly sustainable and renewable, we offer the electricity industry the opportunity to take an oil that is at the end of its life cycle and transform it back into an oil that is as good as new at a fraction of the cost of obtaining virgin oil. Tom leads an office team that is the first point of contact for many of our customer interactions and responsible for driving continuous improvement in the way we provide good service to our customers. Tom joined EOS in 2010 as part of the Customer Services team, before being appointed Customer Services Manager the following year. In 2014, Tom was given account management responsibilities for our high voltage contractors, which means he now splits his time between these dual roles. Tom is responsible for maintaining and developing working relationships with many of our customers, but specifically our contractor customers working on high voltage networks. Tom works closely with our clients and during his time at EOS has gained excellent knowledge of their specific needs, from details about individual delivery locations to personnel requirements. It is this level of customer service and attention to detail that has allowed EOS to develop strong long-term relationships with many of our clients. Tom is proud to lead a team that provides a complete, quality service, from the contact customers have with office-based staff, all the way through to their experience with the EOS technical teams on-site. “We’ve got the right people at EOS, a team of experts passionate about what they do. Our balance of innovators and pragmatists ensure our processes and services not only meet our customers’ needs but also surpass our strict quality and safety controls. Will’s role is to maintain effective managerial (legal, technical, operational & commercial) control of Field Services for Electrical Oil Services. Will joined EOS in 2013 as an Area Manager having gained 16 years experience of working within the power industry for transformer manufacturers and HV contractors, and supported by his Electrical Engineering qualifications and a degree in Project Management. Will started his career as a Project Manager with ALSTOM T&D, where he was responsible for refurbishing and upgrading transformers, installing small, medium and large power transformers for the UK market and exchanging large generator transformers for various UK power stations. As part of his role at ALSTOM T&D, Will also spent ten years heading up the Eurostar on-board train transformer refurbishment programme where he spent time in both the UK and France. As Field Services Manager, Will leads an experienced team who provide the complete solution to our customer’s oil handling needs, and is responsible for promoting and developing all commercial activities, representing EOS for external authorities, delivering profitability and project/account management for key customers throughout Europe. “There are other companies doing the same thing in our industry, but EOS is unique among them. We work to develop a relationship with our customers, and our knowledge of our products and the guidance we provide ensures that we always offer the best solution.